These days I call myself a runner...: Did I really do all that?! Did I really do all that?! I have a provisional training schedule written up to the end of 2014, and that makes it very easy to spend all my time looking forward and planning for my next event. I make an effort not to do that too much, and to enjoy my successes as they happen, but as we come to the end of the year, I think it's important to look back and see how the year has gone. I've spent some time looking through old blog posts including my 2011 review and my post about setting goals for 2012, which has helped me realise how far I've come, and although I've not achieved all of the goals I set myself, I've accomplished more in other areas than I had expected. "...If I can run sub4hrs, I'll feel that I've made it as a marathon runner - it might not be good enough for Boston qualifying, but for me, it's a really significant time..."
- Tick this one off the list! I ran 3:49 at Brighton, and 3:57 at Halstead. 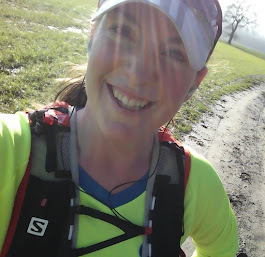 "....I'm taking part in the ChallengeHub [52.4 mile ultra]....My target is to finish the full distance within 12 hours. The training for this is going to be unlike anything I've experienced before, and will take my weekly mileage higher than I would have thought I was capable of - hopefully, I'll prove that I can do it!..." - Achieved this too, and loved it! Also blew my target time out of the water, finishing in 10hrs 41mins, and I know I'll be able to improve on this time in 2013. "....I will be incredibly surprised if I actually manage it...if I have a week off sick or injured, or we go on another holiday where I can't run, it'll go out of the window! However, I am still going to make it my goal to complete the distance...."
- As expected, I didn't manage this one and was way off target from quite early on in the year as I didn't get out on the bike half as much as I had hoped and have had various holidays and injuries (excuses, excuses!). By 31st December, my total running and cycling mileage is likely to be 1,620 miles, of which I'll have run 1,457 miles. I'm aiming for 2013 miles in 2013! "....there's no reason why I can't keep going - losing weight means faster times and less stress on my joints, as well as looking better in the lycra...so why wouldn't I do it?! Well, because when it comes to food I easily lose control and this is probably the hardest of all of my goals to complete...."
- Didn't achieve this one either unfortunately. My weight has yo-yo'ed a bit this year, but I'm still back where I started. This is definitely the most challenging area for me...but I'll continue to try! Even though I only achieved two of those goals, it's still been an incredible year, and I can't imagine I'll ever have another quite like it. Whatever happens over the rest of my running career, I'm certain that 2012 is going to be a highlight! So, what made it such a good year? For the first time, I'll have run pretty much every race distance in a year - a 5km, a 5 miler, a 10km, two 10 milers, three half marathons, a 20 miler, six marathons, and six ultras, and I took my trainers abroad for the first time and ran while on holiday. I got a PB of 1:48 at the Reading Half Marathon in April where I ran with two friends I've known since I was a teenager, with other friends cheering us on around the course, followed a couple of weeks later by my PB of 3:49 at Brighton Marathon, which was good enough (by 11 seconds) to get me a Good for Age place in the 2013 London Marathon. I was offered (and accepted) a place in the 2013 Brathay 10in10 event, I ran a solo marathon leg of the RelayGB world record attempt event which was absolutely fantastic, I ran my first 30 miler ultra with the Enigma crew in July, followed by my first 52.4 mile ultra to celebrate my 30th birthday. I took part in my first multi-day event at the 90 mile Toad Challenge, where I was 4th lady, and won my first race (1st lady) at the Stort 30. I'm so proud of my achievements on that list, and thinking back to those events makes me really emotional. Being involved in RelayGB was an absolute privilege and being welcomed into the world of ultra running has been...well, I think I'm running out of superlatives! Obviously, we had the most amazing "Summer of Sport" to inspire me too. The Tour de France, Wimbledon, the Olympics, The US Open, The Ryder Cup - what an indescribable time it was and I feel so lucky to have been a Games Maker at the Olympic Park and to a part of it. Absolutely unforgettable. I certainly couldn't have asked for anything more. I've learnt a lot about myself over the year, about my strengths and weaknesses, and about how much my (non-running) friends and family care about what I'm doing - even if they don't quite understand the madness of distance running, they're still interested and want to help me through it. I'm also making more friends on the running circuit, which makes a world of difference - I've always enjoyed races, but not half as much as I do when I know people there, and the support I've received on Facebook and Twitter from my running friends has been overwhelming. Without all of that encouragement from everyone, I know for a fact that I could never achieved half of what I have this year. So, 2012 has been absolutely, unbelievably, awesome! But now, I have to start looking forward again. Although I'm taking a bit of a break from intense training at the moment (over the last few weeks my mileage has been minimal to say the least!) next week will see the start of making my plans for 2013 a reality, and I'm going to get serious again about my training and...this time...my nutrition too. I have lots of races already scheduled - over the next 12 months, I'm planning to run 24 marathons or ultras, including my GFA place at London, my first marathon abroad, in Berlin, and of course, most significantly, the Brathay 10 marathons in 10 days event, which also involves me raising at least another £1,840 to add to the money I've already raised for Brathay Trust.